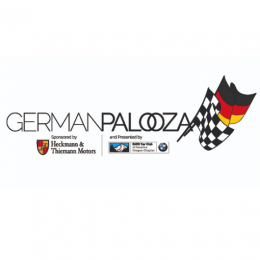 Germanpalooza sponsored by Heckmann & Thiemann Motors presented by BMW CCA. Spectator tickets for second annual festival celebrating German brand automobiles! Expands the Rose City Bug In to include all Volkswagen, Audi, BMW, Mercedes and Porsche vehicles, their enthusiasts and car club members! Car show, swap meet, full day track day, German food and drink.